Molly Gallant is a Research Assistant in the Department of Food, Agricultural and Resource Economics at the University of Guelph. 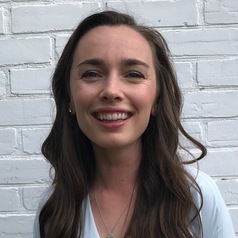 Molly's research interests range to reflect the interdisciplinary nature of food and she has worked on projects pertaining to food waste, food literacy, sustainability and workplace health and wellness. Believing in the importance of knowledge translation and transfer, Molly is passionate about public outreach and education.